Tower abstracts Git’s complexity in an easy-to-use interface. For example, lots of actions can be performed simply via drag-and-drop, and mistakes can be undone easily. Advanced users can increase their productivity with features like single line staging, submodule support, or the file history. Many powerful drag-and-drop features include merge, rebase, push /pull to/from remote, apply stash, create new branch, etc. 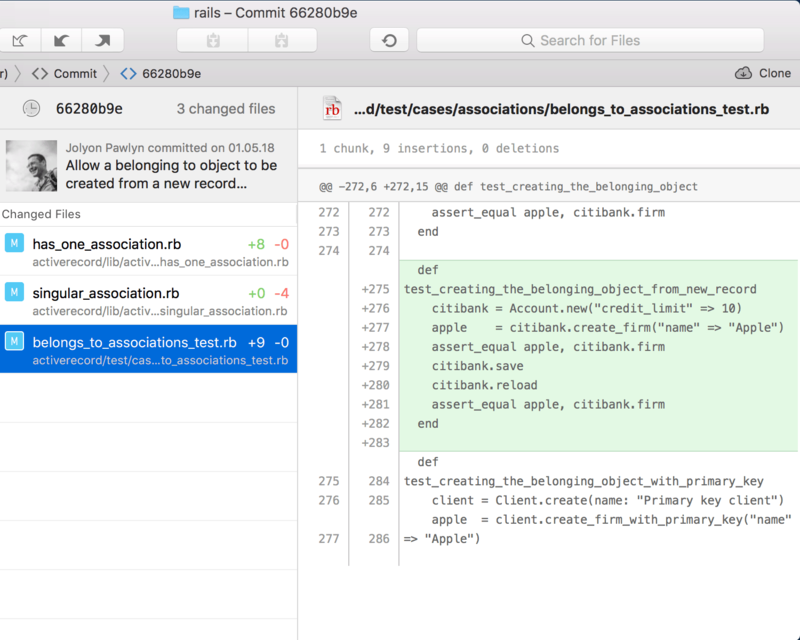 Quick Actions: You can now use the "Quick Actions" dialog to merge and rebase remote branches. An issue with invoking "Open in Terminal" scripts. A crash when opening the Activity window. Visual glitches in the "Merge" view. An issue with refreshing images in the Image Diff view when changing files in some cases.